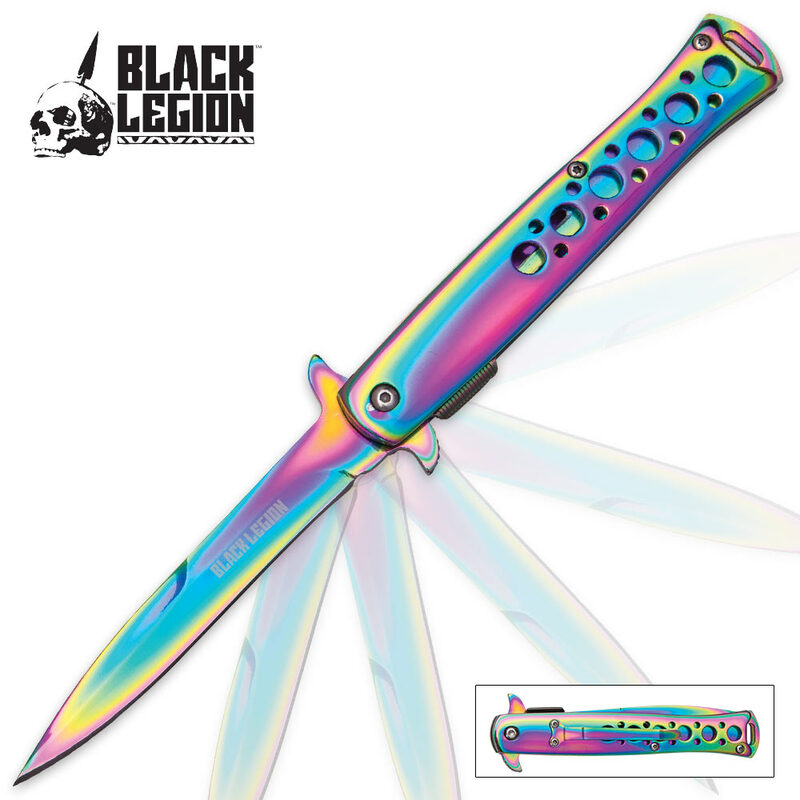 Black Legion Rainbow Titanium Assisted Opening Stiletto Knife | BUDK.com - Knives & Swords At The Lowest Prices! This is an amazing looking stiletto blade to take out and show your friends. 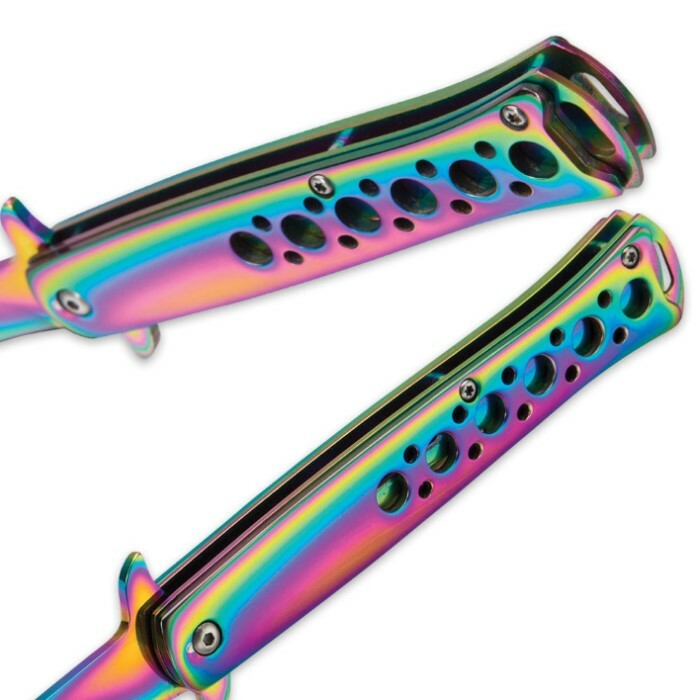 The rainbow titanium finish on both the blade and handle puts it in a class all its own. With a nudge of the handy flipper, the 4" titanium coated stainless steel blade flies open with impressive speed, thanks to the advanced assisted opening mechanism. At 5" closed, it's easy to carry anywhere, especially with the integrated pocket clip. Truly a one-of-a-kind beauty! 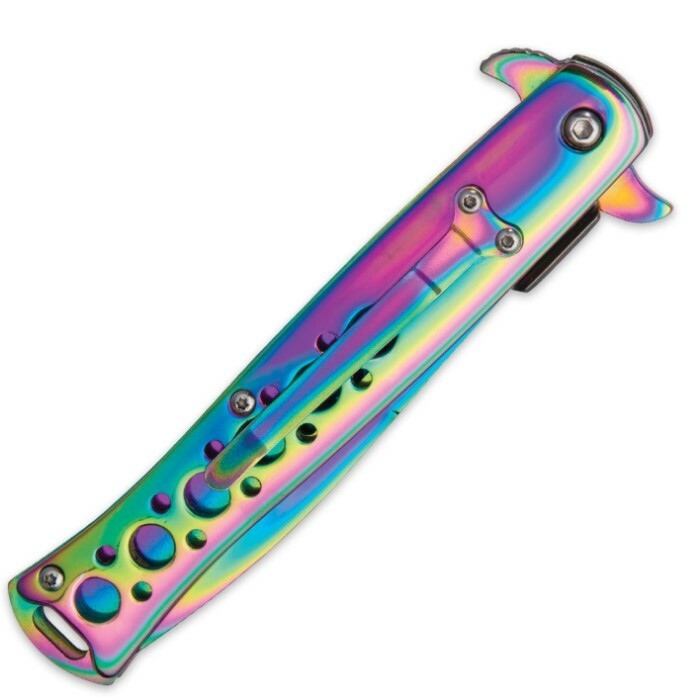 From the pictures you can tell this knife is quite the looker. Maybe so exquisite to not be taken seriously enough , but I'm here to tell you that this blade is very functional and easy to close one - handedly. This is gonna be one of my summer weather EDC blades because it rides very discreetly in the o'l pocket. I love this knife in a healthy kind of way . That said, this design tends to stick a little in the closed position, but not enough to be alarmed about. I lubricated it up with some WD-40 & that helped some. I give this beauty a 4.7 star rating.